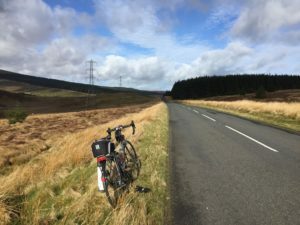 A ride through some of the more picturesque (and hilly) parts of Ulster, passing through all 9 counties of the Province. Whether by post or PayPal, please make sure to include your name, and which event you are entering with your payment! Start Location: Belfast Boucher Place. Boucher Place. Off Boucher Crescent. Facilities: Parking at start (On Street parking on Boucher Crescent). Unsupported event. Draft route is here: https://ridewithgps.com/routes/27884238, but will be subject to change. 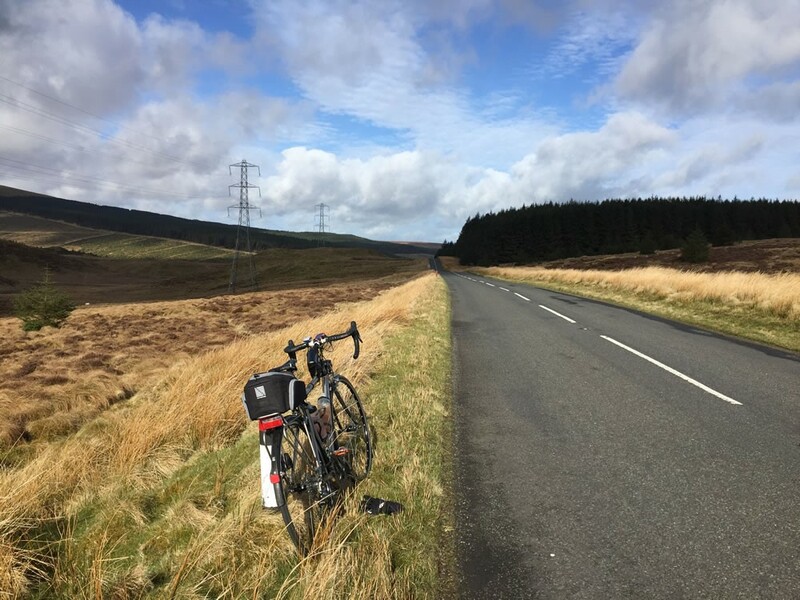 Starting from Belfast (parking available) the route heads over Divis mountain to the West of Belfast, giving a taste of things to come. The route skirts round the top of Lough Neagh, the largest lake in Ireland and the UK, with a surface area of over 150 square miles. After passing through Draperstown (Control), height is gained as we pass lengthwise through the Sperrin mountains on our way to Feeny, and thence to County Donegal, crossing the border at Strabane. The descent out of Raphoe, on the way to Letterkenny (Control), gives a glimpse of Glenveagh National Park, through which the route then passes. After the descent to Doochary (Control) some flatter miles are then gained until we reach Ardara. Shortly thereafter the road tilts up again as we ascend the Glengesh Pass on our way to Glencolumkille (Control), the westernmost point of the route. 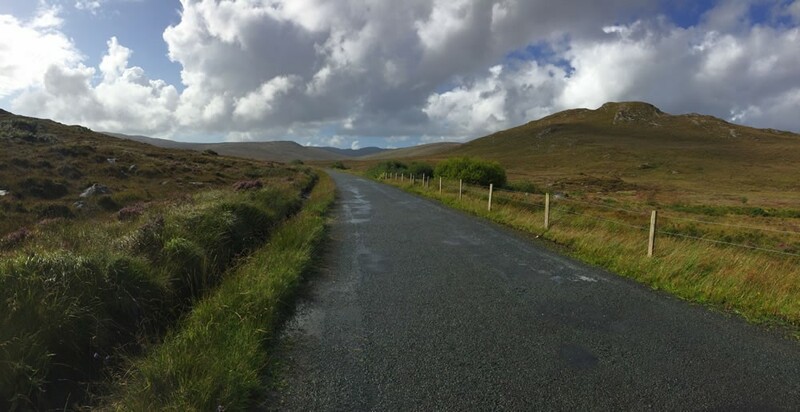 The road to Donegal town is undulating, and after passing through Rosnowlagh, the towns of Ballyshannon, Belleek and Bundoran (Control) will provide well-needed overnight rest for the legs. 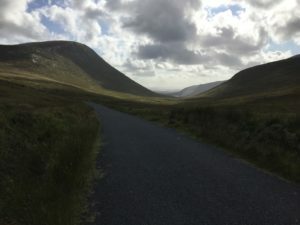 The Glangevlin Pass is the next major hill to be tackled, before some respite as the route passes through relatively flat lands towards Cavan (Control). Kingscourt marks the southernmost part of the route, which then heads northeast, crossing the border near Crossmaglen. The town of Newry (Control) brings us into County Down and the home straight, but not before the drumlins test tired legs. Some stretches of this route pass through wild and beautiful country, with little in the way of shelter or shop for many kilometres. With over 6,000 metres of climbing, a granny gear would be advisable for all but the seriously masochistic. A well-maintained bike should be a given. This will be an unsupported event. As with all Audax events over 200km, lights and reflective clothing are mandatory. I will be checking lights at the start – no lights, no card. Cycling Ireland Licence required, One-day Licence available on the day for €5.00/£5.00.